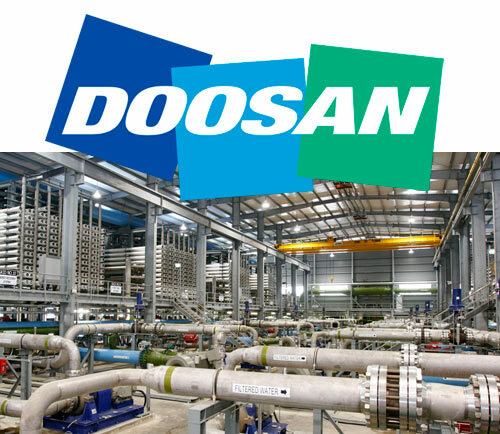 Seoul-based Doosan Heavy Industries & Construction Co. announced on December 11 that ECONTROL is the chosen brand for high pressure control valves of their ongoing Doha phase one desalination plant in Kuwait. The facility will process 270,000 tons of sea water into fresh water a day, which could be consumed by 900,000 people. Under the deal with the Ministry of Electricity & Water of Kuwait, the company will complete the construction of the plant by November 2018 as the engineering, procurement, and construction (EPC) contractor. ECONTROL teams in Seoul and Kuwait will assist with the engineering and operation phases respectively. Doosan Heavy Industries will then undertake the operation and maintenance of the plant until November 2023. ECONTROL Kuwait team will have a permanent 24h valve engineer available only for this plant. Since the water quality of Kuwait's marine waters is one of the worst in the world, the pre-treatment process in the desalination plant is very important. In this respect, it is meaningful in that Doosan Heavy Industries won the bid after competing against global leading plant builders from advanced nations like France and Spain with its differentiated technology in advanced pre-treatment process. Doosan Corporation engages in the heavy industry, machinery manufacturing, and apartment construction and service industries in South Korea and internationally. It offers boilers, turbines, and generators; engineering, procurement, and construction services for power and water treatment plants; power plant retrofit and upgrade services; and seawater desalination and water/wastewater treatment plants and equipment. ECONTROL has been partnering Doosan projects globally for more than 10 years. 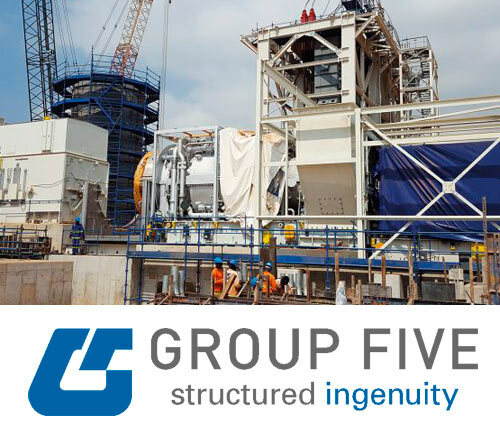 Group Five, a leading South African firm, has chosen ECONTROL Spain for the butterfly and gate valve contract of their project for designing and construction of a 350Mw gas and oil-fired power plant in Ghana. According to a Group Five spokesman, the Kpone Independent Power Project contract will run for three years in order to see through the construction of the plant located in the Kpone municipality. General Electric and Siemens are among the technology giants to supply the generating equipment to be utilized at the Kpone Independent Power Project facility, their strict requirements led to ECONTROL brand being considered the most reliable and adequate for the critical valve requirements that impose fire-proofing integral design on both valve and actuator (specially designed by ECONTROL’s Valve Engineering Unit) and shell testing at 381bar for all valves. The Kpone Independent Power Project is being financed through a commercial debt package arranged by FirstRand Merchant Bank – acting as a coordinating lead arranger to the arrangement. The bank is the South Africa’s third biggest bank division of the FirstRand Bank. The US$ 374m Kpone municipality gas power plant will help Ghana generate low cost, reliable and efficient thermal power. It is expected that the plant will help deregulate local electricity sector. This is a highly strategic project for ECONTROL operations in Africa. The project will ultimately become one of the main off-takers of natural gas from the West African Gas Pipeline which links gas fields in Ghana and Nigeria to the Tema Industrial zone. ECONTROL is set to complete major valve contracts to various phases of South Pars project (17/18, 19, 20/21 among others) in Iran thus consolidating a leading position as the largest European control and on-off automatic valve partner to onshore and offshore Iranian post-sanctions oil and gas industry. Phase 19 development of South Pars is set to produce 50 mcm/d of sweet gas, 75,000 b/d of gas condensate, 400 tons a day of sulfur, 1.05 million tons a year of liquefied petroleum gas and one million tons a year of ethane. ECONTROL Production Complex in Spain is currently producing and delivering over 14.000 valves for this phase. This development phase was awarded by Pars Oil and Gas Company (POGC) to a Petropars-led consortium of Petropars Limited and Petropars Iran and Iranian Offshore Engineering and Construction Company (IOEC under an engineering, procurement, construction (EPC) contract. ECONTROL was chosen as strategic manufacturer for all the major valve contracts. Managing-director of Pars Oil and Gas Company (POGC) said the first refinery train development of the massive South Pars gas field will be operational by Q1 2017 and will feed the national gas trunkline, a critical national infrastructure which uses ECONTROL ball valves. Pars Oil and Gas Company Ltd. POGC) provides gas field development services. The company develops South Pars, North Pars, Golshan, and Ferdowsi gas fields. It also engages in logistic projects, including roads, ports, gas trunk lines, residential districts, sea water intake, flood control facilities, welfare facilities, infrastructure and support facilities, and central power projects. The company was founded in 1998 and is based in Tehran, Iran. Pars Oil and Gas Company Ltd. operates as a subsidiary of National Iranian Oil Company. The ambitious expansion plan for ECONTROL production facilities in Spain is now complete with the grand opening of the fourth production module. ECONTROL's expansion budget brings investment in the R+D+I area and office space for engineering and design teams at the head office but the most relevant portion of the approved investment was allocated for the construction of ECONTROL's fourth production facility with a total effective area of above 15.000 sq.m and 50 Ton elevation capacity installed by ABUS (Germany). The fourth module is built to serve the large worldwide growing demand for ongoing projects. With this opening, ECONTROL reaches a total operational area of 20.900 sq. m. (225.000 sq. f.) in Spain with its head office and three digitally connected production modules. ECONTROL is thus consolidated as the strongest, fastest-growing valve manufacturer in Spain and among the largest 10 in Europe. ECONTROL continues to expand its operations with several key customers in the Russian Federation and CIS customers in the oil and gas and petrochemical sectors. 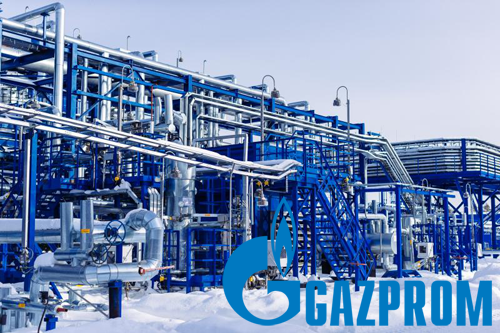 Gazprom’s subsidiary Vostokgazprom confirmed the award of a new contract for engineering, manufacture and supply of control and on-off valves for the expansion project of the Myldzhynskoye gas condensate field. All valves will be developed by ECONTROL's Valve Engineering Unit (V.E.U.) in Barcelona, Spain in close cooperation with site team and partnering office in Moscow which as been recently expanded due to growing operations in the region. All units will be manufactured and exported from ECONTROL's Production Complex in Tarragona, Spain which will feature new facilities for Gazprom representatives to be permanently allocated in the production facilities while the project is developed. The Joint-Stock Company (OAO) Vostokgazprom was incorporated on April 8, 1999. Gazprom’s share in the company’s equity capital accounts for 99.98 per cent. Vostkgazprom underwent several stages of evolution, during which the company shaped its development strategy targeted at achieving a competitive advantage in the development of complex hydrocarbon fields. Vostokgazprom is among the three leading companies of the petroleum industry in the Siberian Federal District, among the forty largest companies of Siberia as well as among the top twenty money winners. As the company specializes in hydrocarbon feedstock production, Tomskgazprom is the major arm of Vostokgazprom Group. In 2007 the company produced in excess of 3 million cubic meters of gas, some 300 thousand tons of condensate as well as 137 thousand tons of liquefied petroleum gas. The company makes considerable investments in both production balancing and in new field development. In 2007 a booster compressor station was commissioned at the Myldzhynskoye field. This will make it possible to maintain the current production level over the next few years. In cooperation with SIBUR Holding the company established Sibmetahim – a company that integrated Gazprom’s core methanol assets. Sustained operational results of the company enable to achieve a high efficiency in the “blue fuel” utilization. Engineering and manufacturing of high pressure ball valves to be installed at 42" pipeline for Lukoil's EPF2 for West Qurna field in Iraq is on track as per the original schedule, project spokesman confirmed. ECONTROL was awarded in March 2012 a contract for design, manufacture, delivery and start-up supervision of 42" high pressure ball and gate valves for the line break stations of the crude oil pipeline. The West Wurna field is a joint development between Lukoil Overseas and Iraq's South Oil Company (SOC) where ECONTROL was strategically chosen as the most reliable partner for electro-hydraulic ball valves to be installed underground along the pipeline. The project will be completed by end of 2012. 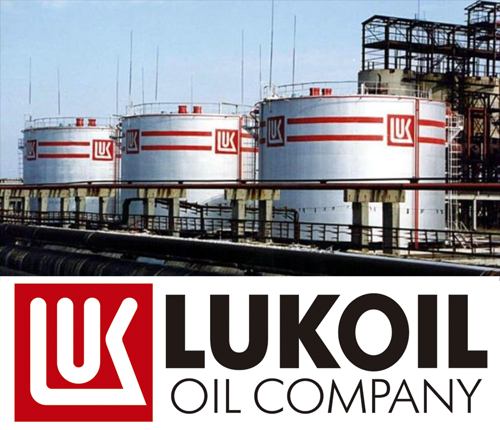 LUKOIL is Russia's #1 integrated oil company which produces, refines, and sells oil and oil products; it accounts for 18% of Russia's crude oil production. In 2010 LUKOIL reported proved reserves of 17.3 billion barrels of oil equivalent, the majority of which is located in Russia. The company explores for oil and gas in 60 regions in Russia, and in Azerbaijan, Colombia, Egypt, Iraq, Kazakhstan, and other areas in the Middle East and Central Asia. It owns refineries in six countries, and marketing and distribution assets in 30, including more than 6,500 gas stations. In addition, LUKOIL has power generation assets in Russia, Bulgaria, Romania and the Ukraine. South Oil Company (SOC) is a national Iraqi company responsible for the oil in the south of Iraq. It is situated in Basrah, Iraq. South oil company is one of the major fundamental formations of the Iraq National Oil Company (INOC). As of October 2010, Iraq had proven oil reserves of 143.1 billion barrels of oil – the world’s second largest. ECONTROL is focusing on Iraq as a key market for the recently introduced 2013-2018 marketing plan with allocated workforce and specific project team mobilized for Iraq projects only. ECONTROL has completed engineering, manufacture and supply of materials to Techint-YPF La Plata expansion project in La Plata refinery, Argentina. This project is a part of the nation's critical plan to produce the highest grade fuels locally instead of importing from overseas sources. ECONTROL was chosen among local manufacturers and other European brands as the most reliable partner to ensure on-time delivery and total peace of mind to customer as this critical project must be on-stream by end of 2011. ECONTROL's previous achievements on similar projects were a key factor for this contract and once again an extraordinary performance has been delivered. YPF announced ECONTROL will be preferred for upcoming projects due to its reliability and target accomplishment guarantee. 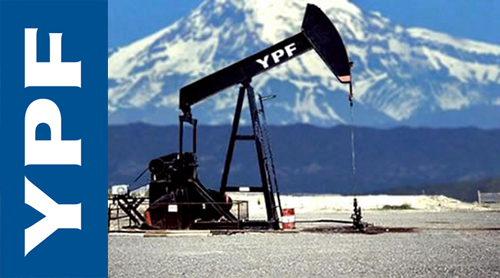 YPF SOCIEDAD ANONIMA, an energy company, engages in the exploration, development, and production of crude oil, natural gas, and liquefied petroleum gas (LPG) in Argentina. The company also involves in refining, marketing, transportation, and distribution of oil and a range of petroleum products, petroleum derivatives, petrochemicals, LPG, and bio-fuels; and gas separation and natural gas distribution operations. As of December 31, 2010, it had proved reserves of approximately 531 million barrels of oil and 2,533 billion cubic feet of gas; and retail distribution network of 1,622 YPF-branded service stations for automotive petroleum products. The company's crude oil transportation network includes approximately 2,700 kilometers of crude oil pipelines with approximately 640,000 barrels of aggregate daily transportation capacity of refined products; crude oil tankage of approximately 7 million barrels; and terminal facilities at 5 Argentine ports. In addition, it participates in 3 power stations with an aggregate installed capacity of 1,622 megawatts. The company was founded in 1977 and is based in Buenos Aires, Argentina. YPF SOCIEDAD ANONIMA is a subsidiary of Repsol YPF, S.A.
Over 30 ECONTROL's VB-100 motorized ball valves have been installed at PDVSA-PETROPIAR's Macolla G2 project in Venezuela as a first delivery of this strategic project. ECONTROL's Valve Engineering Unit (V.E.U.) engineers have been working closely with PDVSA project team to develop made-to-measure solutions to achieve an on time completion of the first part of the project. ECONTROL has also been requested to perform valve design and to tender a complete technical package for further phases of PETROPIAR's facilities. ECONTROL's joint venture with Venezuelan company Valinpeca for operations in Venezuelan market features a complete Integrated Service Center (I.S.C.) for ECONTROL products as the presence becomes wider and wider in the Americas market. 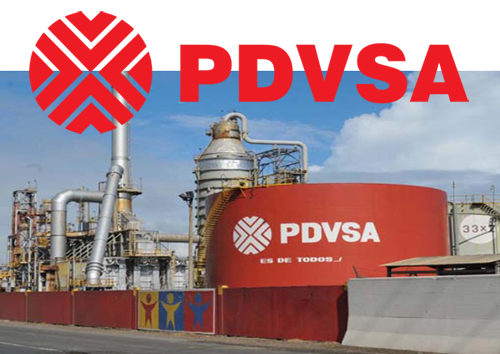 PDVSA-PETROPIAR is a Venezuelan Joint venture created to explore, transport and enhance 190,000 barrels a day of extra-heavy crude oil extracted from Proyecto Hamaca, located in the Orinoco belt in Venezuela. PDVSA controls Petropiar with a participation level of 70%, while Chevron owns the remaining 30%. PETROPIAR reached 160.000bpd capacity recently. 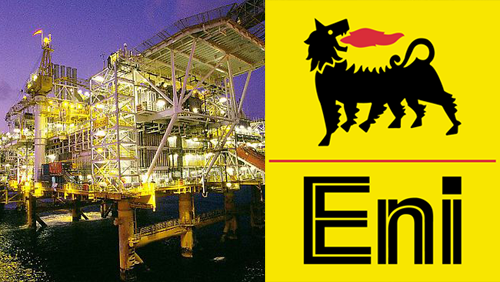 Eni and its EPC contractor Beender Ltd. based in London, UK have chosen ECONTROL to be the integral supplier for the current M'Boundi field development pipeline project in the Republic of the Congo. The awarded contract amounts to $2,87m and involves design, engineering, manufacturing and supplying customer with manual, actuated on-off and control valves for all the line-break pipeline stations and related facilities of the project. The scope of supply involves most of ECONTROL's valve types: gate, butterfly, globe control and ball valves. All required valves must be produced in exotic materials (Monel and Inconel alloys mainly) and in sizes up to 24" with various types of actuation: gas-over-oil, electric and pneumatic. The contract supply will be completed in just 5 months and will be installed on site by end of 2009. Eni is an integrated energy company. Active in more than 70 countries, with a staff of 79,000 employees, in the oil and gas, electricity generation and sale, petrochemicals, oilfield services construction and engineering industries. Eni has been operating in the Republic of the Congo since 1968 and currently has 24 exploration and production permits in the country. Eni's exploration and production operations in the Congo are regulated by Production Sharing Agreements (PSA). Operations take place in the conventional and deep offshore sector in front of Pointe Noire and in the onshore sector over a total area of 11,099 square kilometres (4,905 attributable to Eni). The M'Boundi and Kouakouala A deposits purchased in 2007 currently produce a total of around 41,000 barrels per day. The EPC contractor for this project, Beender Ltd. (based in London, UK) is an international oil and gas contracting company, it is a project driven company that is capable of moving its resources worldwide to respond to the demand of oil and gas operators. Is an EPC contractor with experience in the design and construction of Early Production Facilities, Pipelines, Storage tanks, as well as Processing Equipment. ECONTROL consolidates its leadership in the water process, sea water desalination fields with the award of high and low pressure valve packages of the new Sydney Water Desalination Project by Blue Water JV, integrated by Veolia Water (France) and John Holland Engineering Australia), of the Tianjin plant executed by Hydrochem-Hyflux (Singapore) which is the largest plant currently under construction in China, of the Hadera plant executed by IDE Technologies (Israel) the second largest ever built in that country, of the Beni Saf and the Skikda plants executed by Cobra – Tedagua – Sacyr JV (Spain) which are both 200MLD and the two largest ever built in Algeria. The awarded projects are of great strategic value as, due to worldwide growing demand for desalinated water, vigorous expansion investments are foreseen on which these plants will be used as guidelines for upcoming constructions. 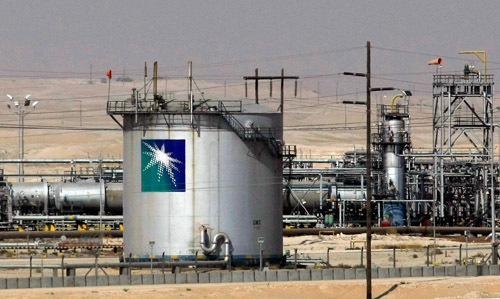 ECONTROL Spain entered on October 14 into a contract for supply of motorized valves and instrumentation to Saudi ARAMCO for the ongoing critical Al-Khafji Field Onshore Facilities Development Project (Phase 1). The signed contract involves design, engineering, manufacturing, instrumentation integration, site delivery and commissioning of 104 valves in large sizes (through 56") and high pressure duty (through (ANSI 1500# rating) and related instrumentation. The total contract value amounts to above $3,1m. The complete production process will be executed from ECONTROL's new production facility in Constanti, Tarragona (Spain) which is specialized in large diameter valves. The valve actuators will be delivered by technology partner Auma (Germany) and integrated at ECONTROL production facility prior to export. The complete delivery will be finished by April 30, 2008. 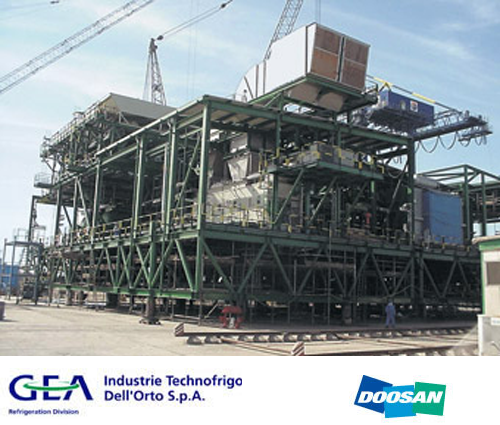 ECONTROL will supply the refrigeration division of GEA Group, Industrie Technofrigo Dell'Orto S.p.A. based in Bologna, Italy with an integral valve supply contract for their ongoing gas compression projects which are being developed in partnership with Korean contractor Doosan. The signed contract (which may be extended next year) includes integral control, ball, butterfly valve supply for modular gas compression stations being assembled at GEA plant in Italy and exported worldwide. ECONTROL will also engineer and supply instrumentation for the valves in partnership with Invensys Group and will provide site assistance and commissioning services by ECONTROL engineering team. ECONTROL bid won the contract among the most reputed European valve manufacturers as it featured the most competitive price and shortest delivery time for the most reliable product of its kind. 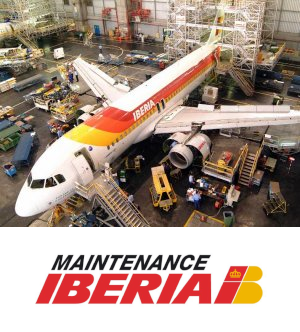 Iberia's central branch for aircraft maintenance ( www.iberiamaintenance.com ) located at Madrid-Barajas airport is undertaking a major upgrade and renovation project of all its aviation test areas to comply with new requirements of major aircraft manufacturers Airbus and Boeing and its strict maintenance procedures. ECONTROL has been selected as sub-contractor for the complete control valve and instrumentation package design, engineering and commissioning. The scope of supply requires highly precise control valves for pressure and temperature control duty capable of operating up to +600ºC of temperature and 45bar of pressure delivering pressure/temperature controls with minimum error margins of 0,068 bar (1 psi) and 0,01ºC respectively.